Alfa Romeo Giulia Interior, Sat Nav, Dashboard | What Car? 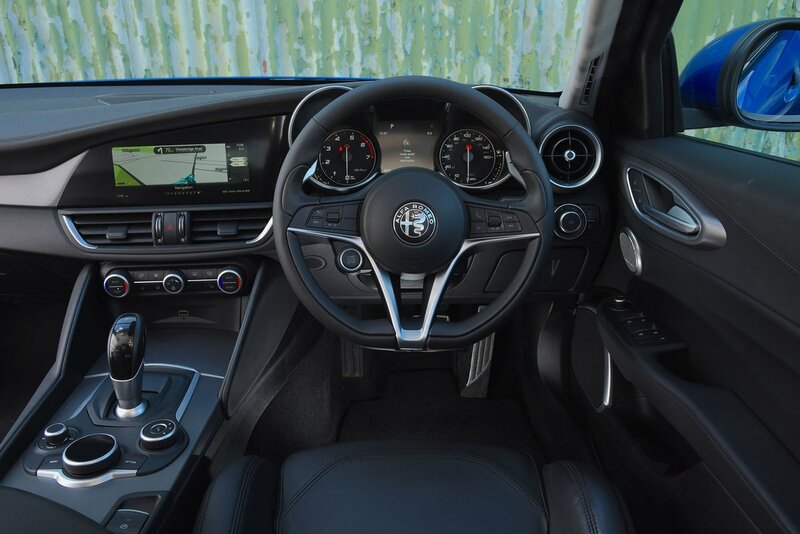 The Giulia’s driver’s seat is set low and allows you to adopt a hunkered-down position in front of well-positioned pedals and a broadly adjustable steering wheel with a pleasingly slim rim. 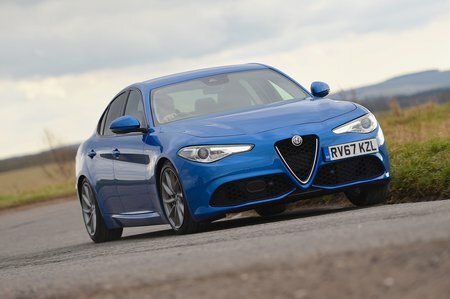 There’s quite a marked difference in material richness between entry-level cars and higher-end examples fitted with Alfa’s Luxury pack; only the latter getting the leather-wrapped dashboard pads and wood veneers that the car really needs to bear comparison with the likes of the Audi A4 and Mercedes C-Class. Whatever the trim level, the Giulia features some quite cheap-feeling switches – on its dashboard particularly – that don’t really belong in any car sold at a premium price. That said, its standard steering wheel and optional paddles feel much more suitable. The infotainment system is controlled by a rotary controller and relayed through an 8.8in colour display that appears as if from nowhere behind a smoked screen. Only average graphical quality, a slightly dim display and some muddled and confusing menu functionality let it down, however. Entry-level cars get dual-zone climate control and cruise control as standard, but it’s worth upgrading to ‘Giulia Super’ trim level for the sake of part-leather seats, wheel-mounted paddle shifters for the eight-speed gearbox and the richer touches inside the cabin. 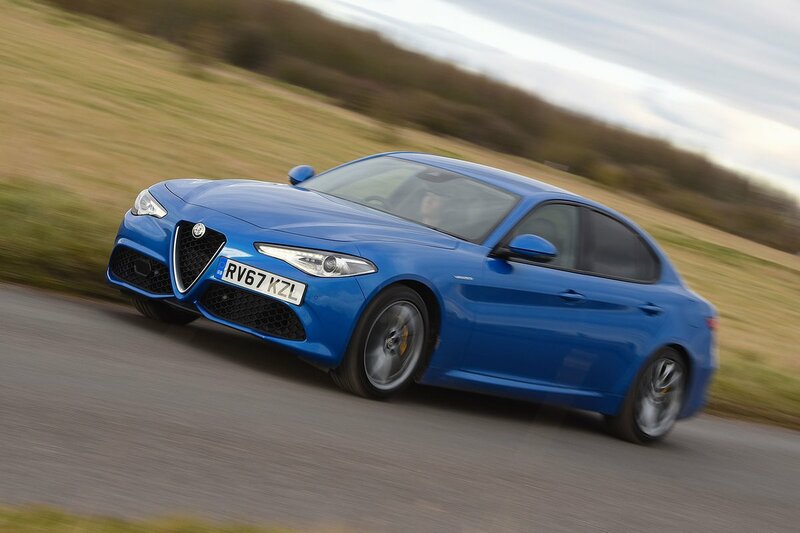 In this spec, the Giulia feels like more of a match for its predominantly German competition.